The Alp Flow Mid GTX is a mid-cut hiking boot with a GORE-TEX Extended Comfort lining and GORE-TEX Surround technology for additional breathability to keep your feet dry and at the right temperature in moderate and warmer conditions, whatever the weather. GORE-TEX Surround uses a patented open construction to allow moisture and warmth to escape not only through the upper, but also downwards below the foot through the laminate. The boot has a nubuck leather and ballistic mesh upper with a protective rand, while the durable and versatile Vibram Hike Approach sole covers a wide spectrum of mountain terrain. 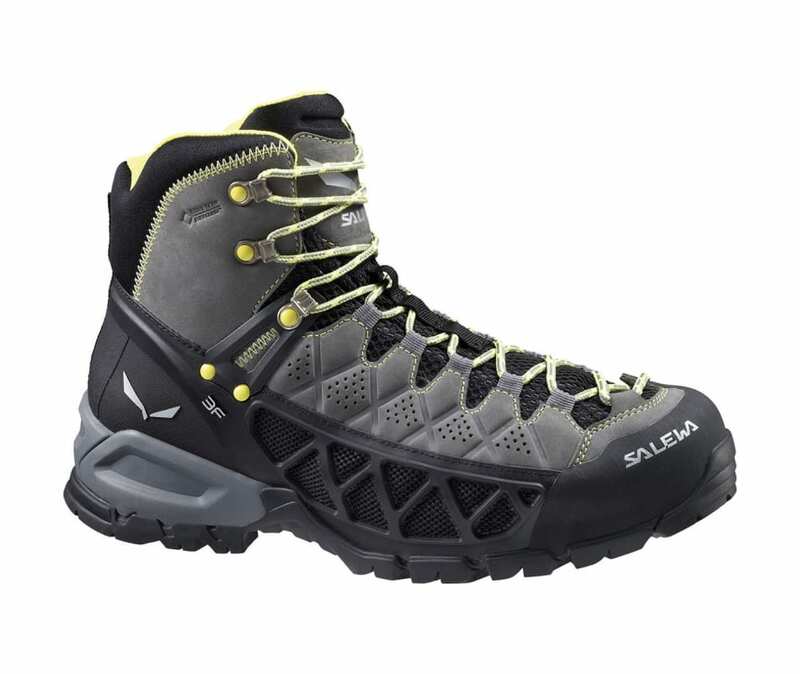 The Alp Flow Mid GTX integrates SALEWAs patented technologies to offer the Alpine Fit 100% blister free guarantee: Climbing Lacing right to the toe for a more precise fit; 3F System for firm ankle and heel support.